As a property manager of a major hotel, hospital, mall, or event space, the efficiency of the chillers can make a big difference in the electricity costs you incur at the end of the month. The day-to-day operation of any busy venue places a lot of strain on air conditioning demands as your staff works to make each client as comfortable and satisfied as possible. Depending on your location, chiller consumption may run up to or even exceed 50% of your total electricity cost! Unfortunately, thermal storage is not an obvious option for retrofitting. The primary challenge is that it requires significant additional space for the installation of thermal storage tanks. Also, the peak-load chiller capacity is already in place. 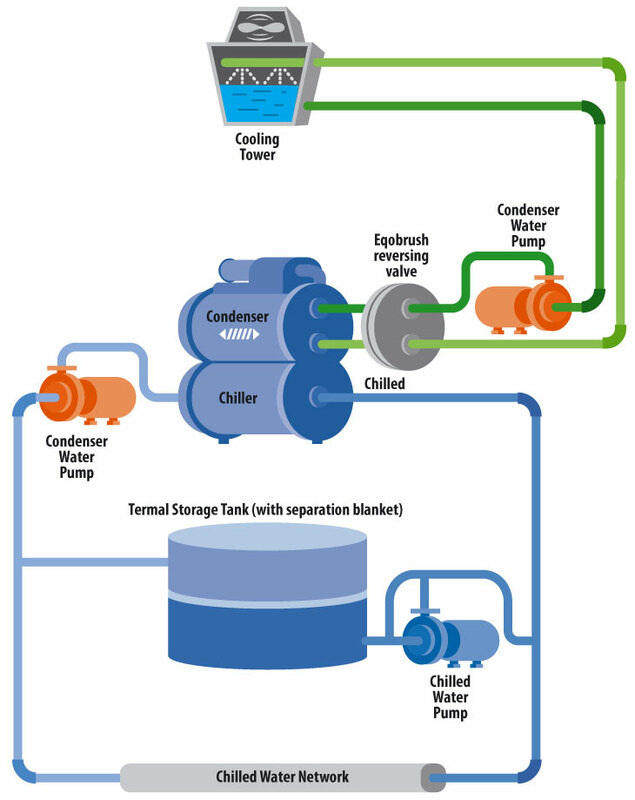 Thermal storage tanks are cylinder-shaped tanks that store the water from the cooling system. The chiller constantly feeds cold water to the lower inlet of the tank. The building draws the chilled water required for the cooling from the water outlet, which is also positioned at the lower end of the tank. Return water (“warm”) enters the top inlet and the chiller takes water from the top outlet. A horizontal thermal blanket that moves vertically through the tank separates the cold water from the warm water. As the total water quantity in the closed side of the system (building pipes and coils + tank + chiller) is constant, the tank is always full. Before peak hours, the blanket will be in the top of the tank, and it will descend during those peak hours. 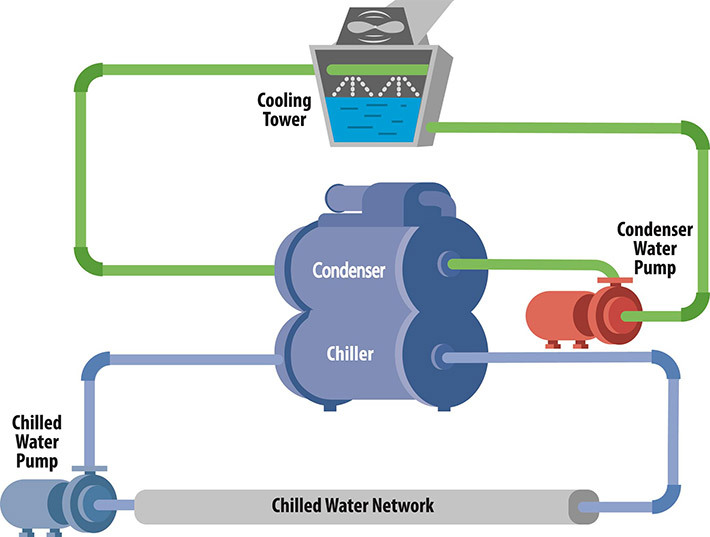 The chiller condenser: Water from the cooling tower runs through the condenser tubes to cool down the refrigerant gas. While being cooled and compressed by the compressor, the gas condensates and releases energy (heat that is removed from the building) to the cooling water. Fouling of the condenser tubes by the cooling water hampers the effective heat exchange process, and the compressor needs to work longer to compensate for this, leading to higher energy cost. When fouling build-up continues without being attended to, eventually even the compressor cannot compensate, and the condensation is not achieved. The chiller is tripping, and there is no more cooling. Automatic tube cleaning elegantly solves the tube cleanliness issue by performing high-frequency tube cleaning without interrupting the chiller’s normal function. It achieves this by frequently brushing away residue that would otherwise accumulate and scale inside the tubes. The cleaning process occurs multiple times per day and takes less than a minute to complete. 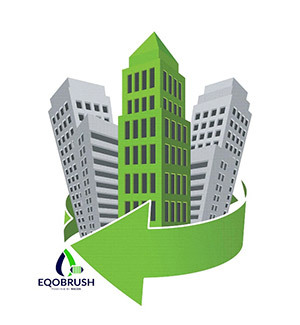 There are several methods of automatic cleaning available, either using brushes or sponge balls. You can find a comparison of the different systems in post “On-line Cleaning Solutions for Heat Exchangers and Condensers Compared“. Tube cleaning has proven its effectiveness through energy saving in chiller operations of between 10-20% on average (going up to 40% saving compared to a fouled-up chiller just before its manual cleaning service). Also, as chillers are designed with a fouling factor in mind, brushed and, therefore, clean chillers will reach an output that is above design capacity. Additionally, automatic tube cleaning can extend the functional lifespan of chillers by 20% or more as tubes do not corrode (and eventually leak) and compressors have fewer running hours. Tube cleaning systems can be retrofitted to any existing chiller without an increase to its existing footprint. Their typical pay-back period is less than a year. In conclusion, both of the technologies discussed above will help to achieve better performance with minimal chiller capacity and electricity consumption. Whereas automatic cleaning is an obvious choice for retrofitting existing systems, a combination of both may be the best approach for new projects. Fill in the details of your system. 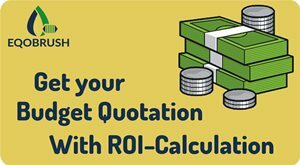 Depending on your location, the calculation is made via the interactive form or is handled by our team, who will return the calculation within one working day.